It was very nice and clean. newly upgraded building. The cleanliness of the place and the safe environment as well as the beauty around the building in which the apartment is located. Very overwhelming apartment. Clean and everything is provided. Apartment was very nicely decorated. Very modern and comfortable. Small but tidily compact. Loved the combination washer/dryer. Kids enjoyed netflix on TV. Good quality kitchenware. The canql view from the apartment and the overall location. It had everything that we needed. Me and my friends liked our stay really much! Some feedback here said that it was too far, but i loved the walk. There is Hunters coffee shop really close and little centre. Also, it is really peaceful. Very comfortable & big beds. Great shower room spotlessly clean with all you need. The kitchen area was well equipped. Living room stylish and room enough for 4 people to relax on a freezing cold & wet night. 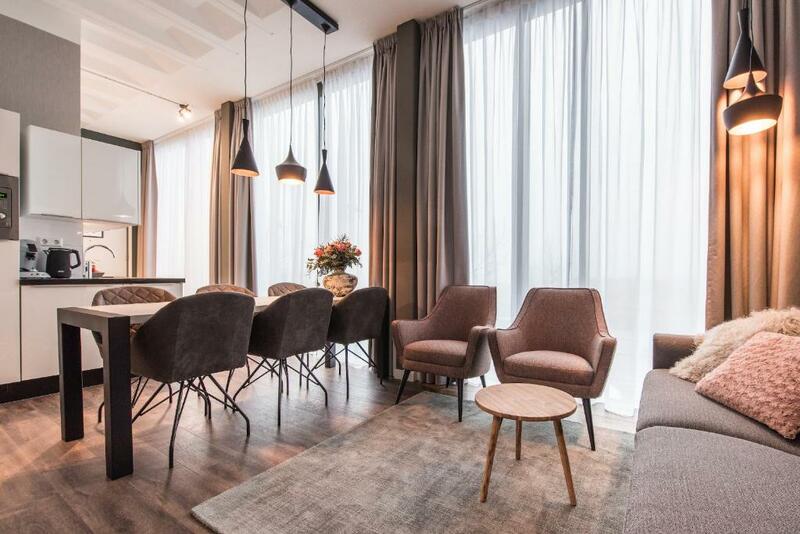 Lock in a great price for NDSM Serviced Apartments – rated 8.1 by recent guests! The accommodations features a flat-screen TV. 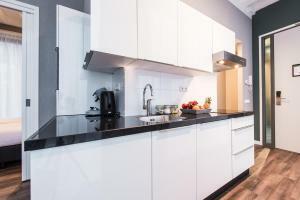 A dishwasher, an oven and fridge are also featured, as well as a coffee machine and a kettle. Towels are provided. 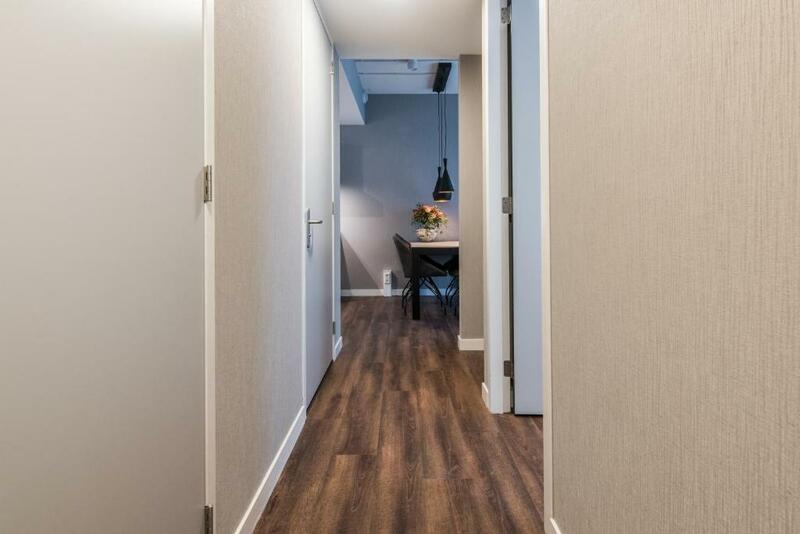 This accommodations offers check-in and key pick-up at Schiphol Airport and in Amsterdam center at Herengracht 2.5 mi from the property. Beurs van Berlage is 1.7 mi from NDSM Serviced Apartments. The nearest airport is Schiphol Airport, 8.7 mi from the property. When would you like to stay at NDSM Serviced Apartments? This apartment has a sofa, oven and electric kettle. Please note that the maximum occupancy is 4 guests. This apartment features a flat-screen TV, electric kettle and dishwasher. This apartment has a oven, sofa and dishwasher. This apartment has a oven, washing machine and electric kettle. 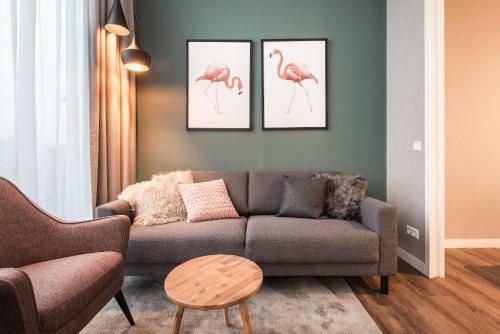 These new and contemporary apartments are a true gem! The New NDSM building is located in one of Amsterdam's most wanted and upcoming city areas; Amsterdam North. The building is build in 2016. A free ferry easily connects you to Central Station and the central district. Short Stay Group offers a homely welcome to corporate and leisure travellers in the vibrant centre of Amsterdam. Amsterdam Noord is more spacious and tranquil than other areas in Amsterdam, yet full of fun and interesting things to do. Locals love the area for its views over the Amsterdam waters and the industrial area that is known for its organized food events and festivals. 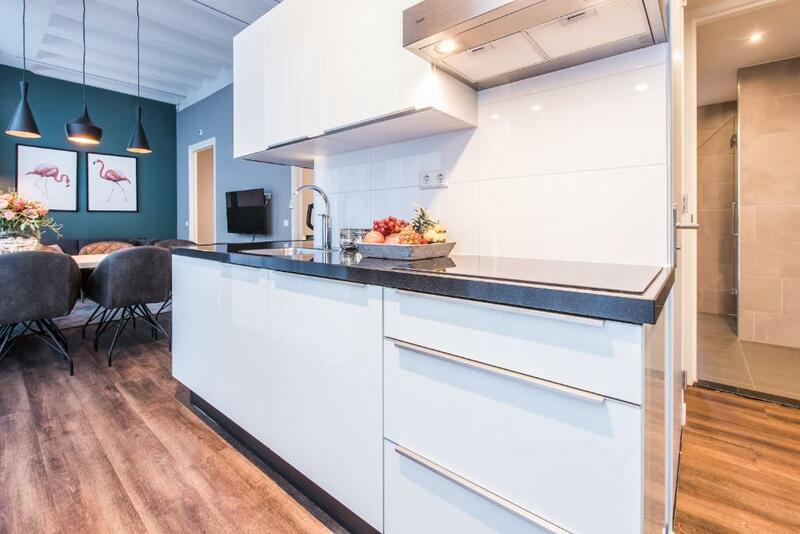 It is just a short ferry or metro ride from Amsterdam Central Station and lots of interesting sights are within walking distance from the property. One of these sights is the EYE Film Museum, located in a remarkable architectural building. Next to the EYE Museum you'll find the A'Dam Tower, full of entertainment. At the NDSM Wharf you'll find some hip cafés, art galleries and once a month they organize IJ-Hallen; the largest flea market in Europe. 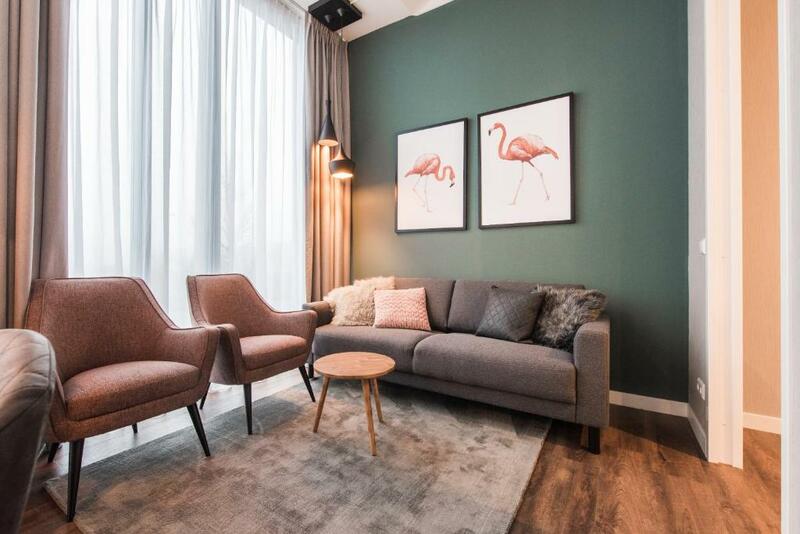 House Rules NDSM Serviced Apartments takes special requests – add in the next step! NDSM Serviced Apartments accepts these cards and reserves the right to temporarily hold an amount prior to arrival. Please note that check-in and key collection take place at: Herengracht 451, Amsterdam 1017 BS. The beam from the shower was close to non-existing, took us forever to shower in the mornings.. The nearest supermarket is 15mins walking. No toaster. Recycling facilities didn’t seem readily available. Clean apartment with nice views. Only thing I would say that needs improving, the apartment was freezing when we got there and the heating was difficult to figure out how to turn on. We called them to fix it and they said they can come the next day to fix it in which they did. So they were quite quick with it. However we were told after it was fixed that it would take a few hours to heat up, which isn’t ideal. If that is improved then there would be nothing else negative to say. It was very clean, had everything that you would need for a short stay. 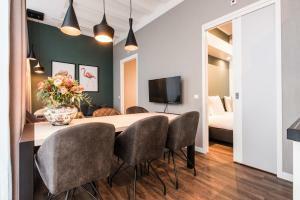 The apartment was comfortable to be in and the services was excellent! 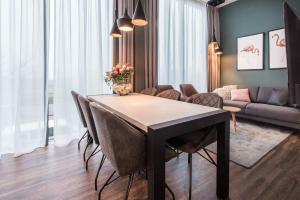 We liked the tablet in the apartment that provided us various services, it was quick and easy to use and made our stay in Amsterdam very smooth. The property is on the ground floor, as you enter the property the bathroom & shower is to your left. I really liked the shower because it was very spacious & clean! The kitchen, lounge & front room are combined which was lovely as it made it swift to move around the property! A TV is provided which was perfect! The rooms are pretty cool, there’s quite a bit of storage. The apartment is a bit a way from the central but luckily for us upon check in a member of staff let us know there was a free ferry that ran from central to around where our apartment was, we literally saved so much money as the Uber to the dock was around €6-€8! Extremely comfy bed and pillows. Great apartment nice and clean small but comfortable. My neighbours were really noisy and night security did tell them to turn their music down but as soon as he went they were noisy again,but the main thing about this is that Front Desk thought it was me that had a complaint against me , how can this be possible when I made the complaint.